From mild to aromatic to bold, our hard cheeses vary in texture and age. Crumbled or grated, they give dishes more pungency and character. 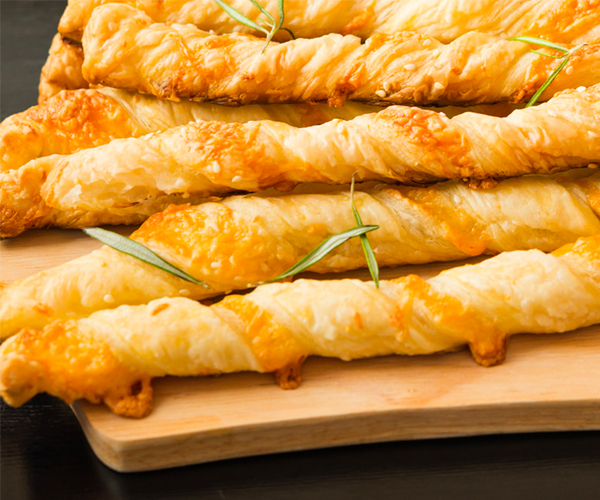 Their varied flavours make them a fun addition to any cheese plate. 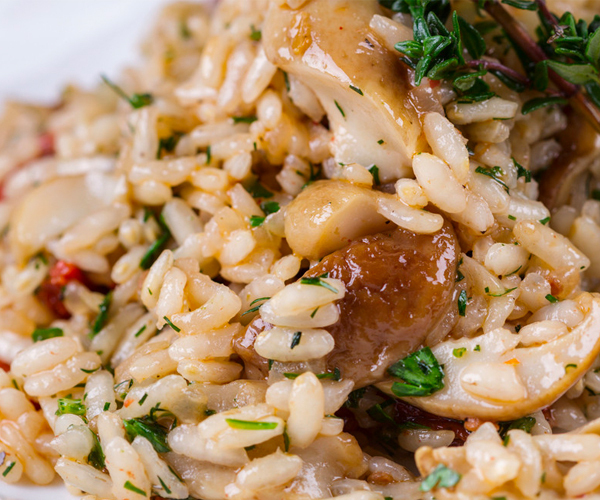 One of our favourites is romano. 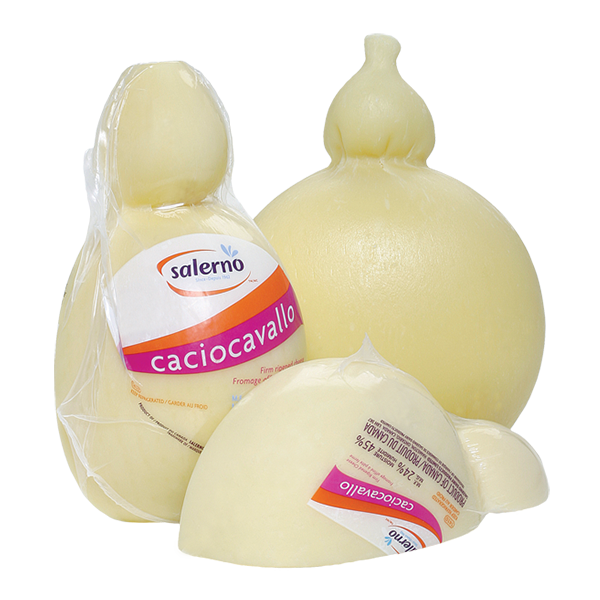 A firm, gourd-shaped cheese with a dry yellow rind, Caciocavallo tastes somewhat similar to provolone. 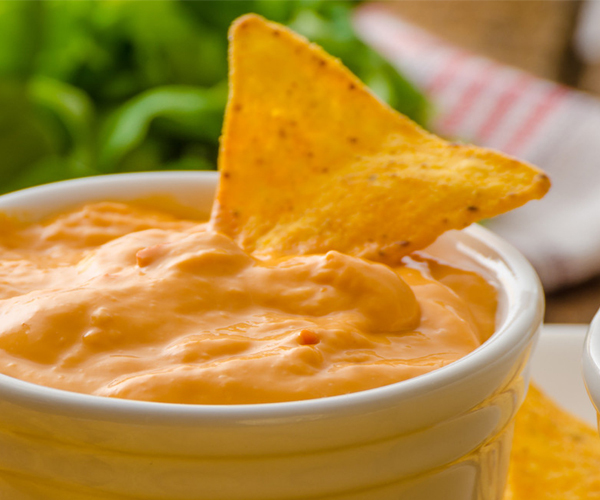 Mild when first made, this cheese grows stronger with age. It is perfect on sandwiches and in salads. Milk, bacterial culture, salt, calcium chloride, microbial enzyme, lipase. 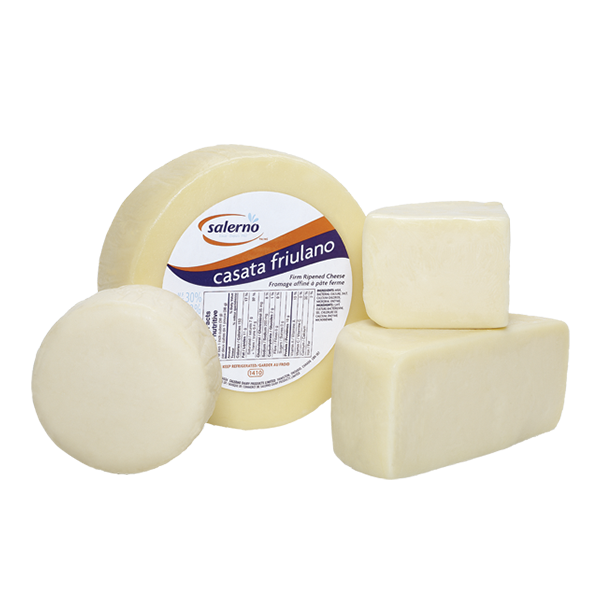 Off-white to yellow in colour with an ivory interior, Casata is a wheel-shaped cheese with a mild to sharp creamy taste. 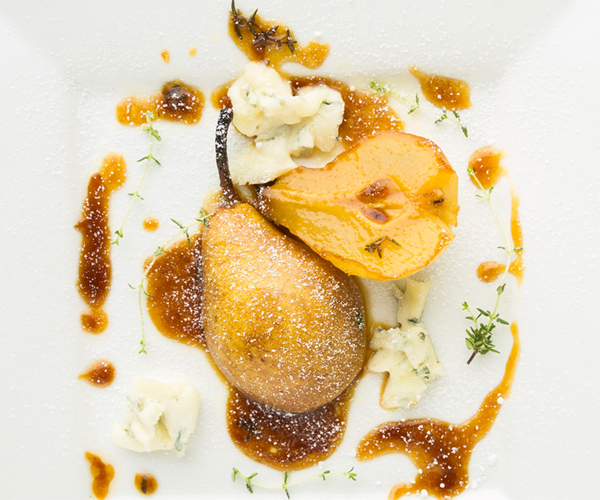 Enjoy it on its own, or in perfect combination with pears, olives or rye bread. 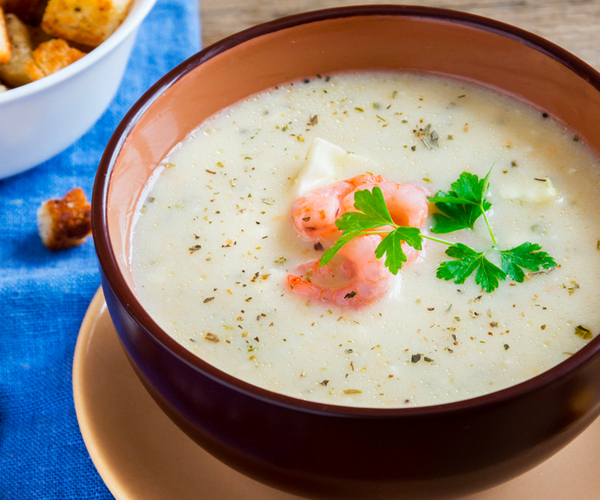 Casata works well in any number of dishes ̶ the sky’s the limit for your creativity. Milk, bacterial culture, salt, calcium chloride, microbial enzyme. The patriarch of this cheese family, Romanello features a yellow rind, an ivory interior and a taste that starts out mild and tangy and gets more piquant as it ages. 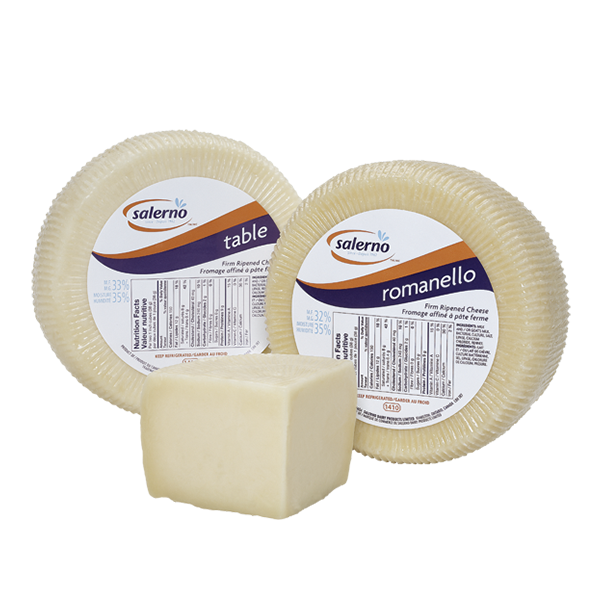 The remaining cheeses in this group have similar characteristics, but with some notable differences: Table Cheese, a fresh version of Romanello, is mild and stays fresh in its vacuum pack. Pepato, on the other hand, is similar to Romanello but with added peppercorns that give it a lightly spicy and delectable finish. Similarly, Peperonato has all the flavour of Romanello with crushed chillies added to provide a little heat. Milk and/or goat's milk, bacterial culture, salt, lipase, calcium chloride, rennet. 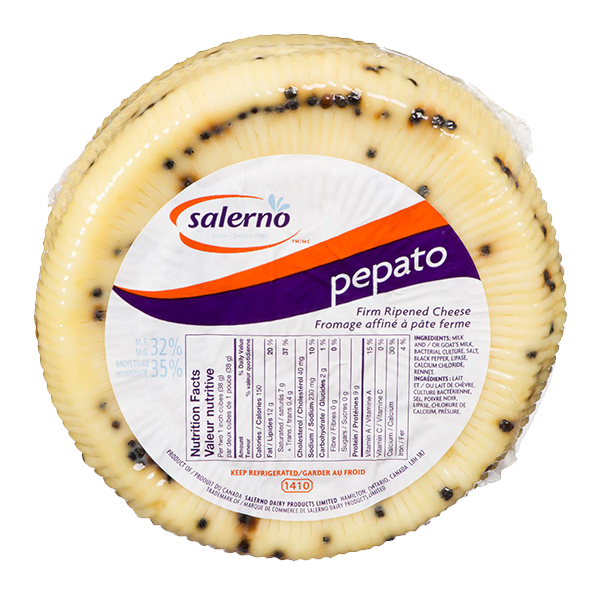 Pepato is similar to Romanello but with added peppercorns that give it a lightly spicy and delectable finish. Milk and / or goat's milk, bacterial culture, salt, black pepper, lipase (microbial), calcium chloride, microbial enzyme (rennet). 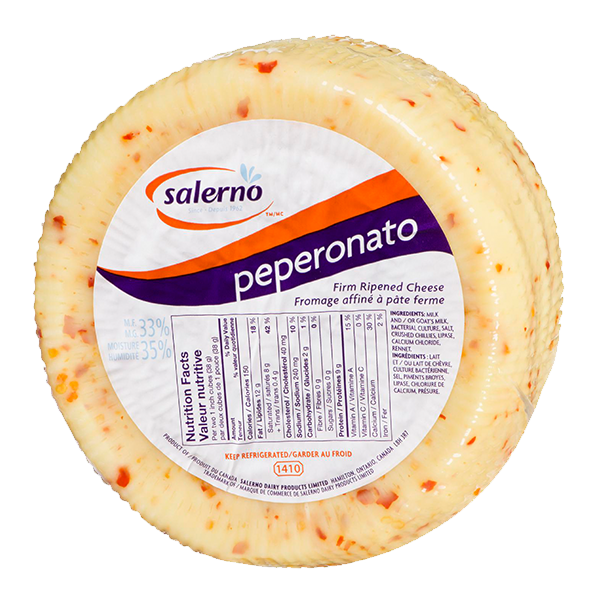 Peperonato is similar to Romanello but with added hot peppers that give it a lightly spicy and delectable finish. Milk and / or goat's milk, bacterial culture, salt, crushed chillies, lipase (microbial), calcium chloride, microbial enzyme (rennet). 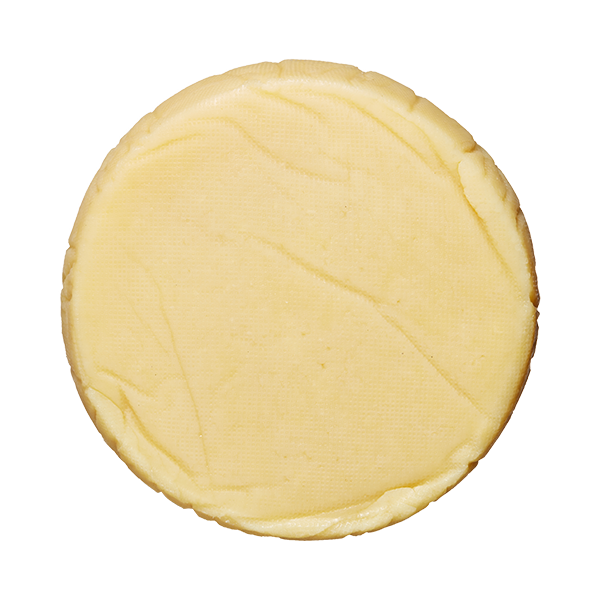 Originating in the Italian town of Bra, this hard cheese is aged for up to 6 months and is full-flavoured. Partly skimmed milk, salt, bacterial culture, calcium chloride,microbial enzyme, lipase. 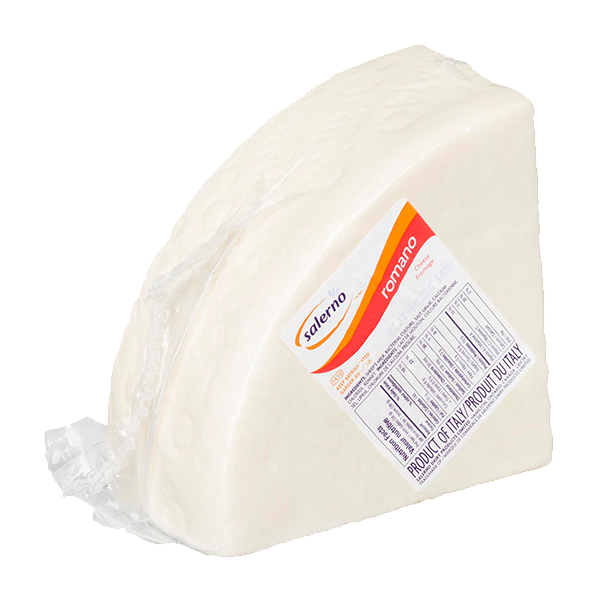 Originating in the countryside surrounding Rome, Romano is another hard, salty cheese used primarily for grating on pizzas and pastas. Milk, bacterial culture, salt, lipase, calcium chloride, rennet.